Zam is a calculating, shape-shifting, highly skilled assassin whose natural form was reptilian, but she often took the form of a human woman. She rose to prominence during the heyday of the Republic. 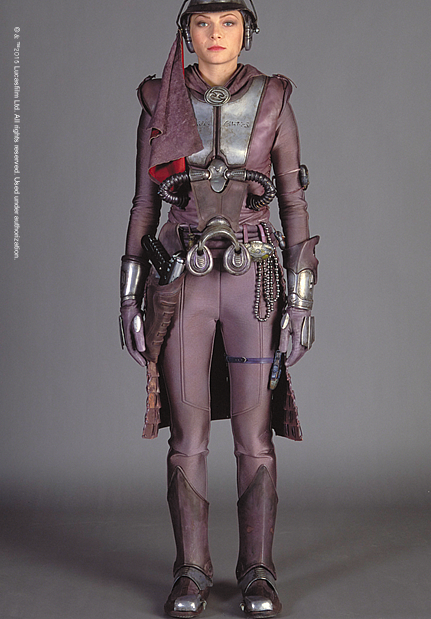 Her elaborate, textured and armored costume is filled with weapons that aid her villainous missions. 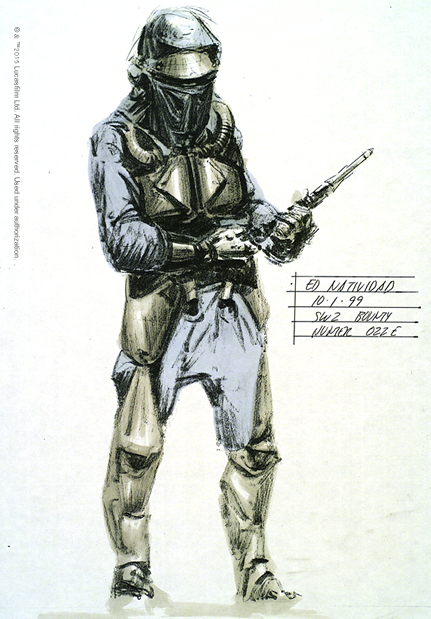 Zam Wesell’s costume was a challenge for costume designer Trisha Biggar, who worked closely with other departments to bring together its many components. The jumpsuit is neoprene fabric, covered by a leather vest and skirt. 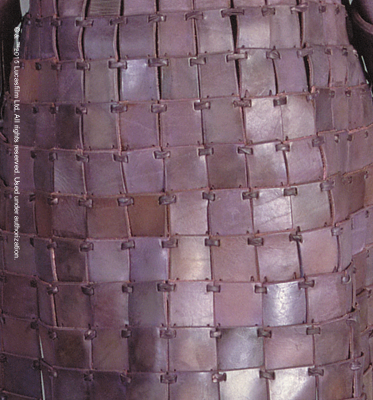 The Samurai-inspired skirt is made of individually painted heavy leather shapes, a material chosen for its qualities of motion. Molded flexicast was used to hold the curve of the front tubes, and flexible polyurethane with metal powders is used for the small pouches. The veil she hides behind is chamois suede, with a red silk lining, and her boots and accessories are rubber. 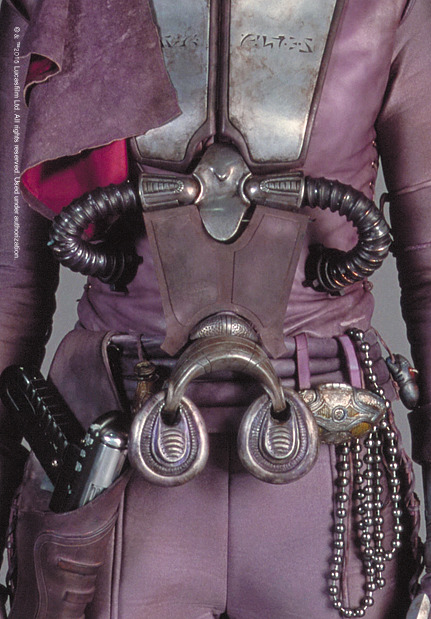 The accessories on her costume were held in place by magnets.